Think Scotland…think of our National drink…customise your own unique whiskey tours from Glasgow to the distilleries that create your favourite drams. Why not leave your car at home and take the stress out of driving. Sit back, relax and enjoy the scenery as we transport you from Glasgow on your ‘spiritual’ whisky trail. Select tours that can fit in and around your day, and your agenda. 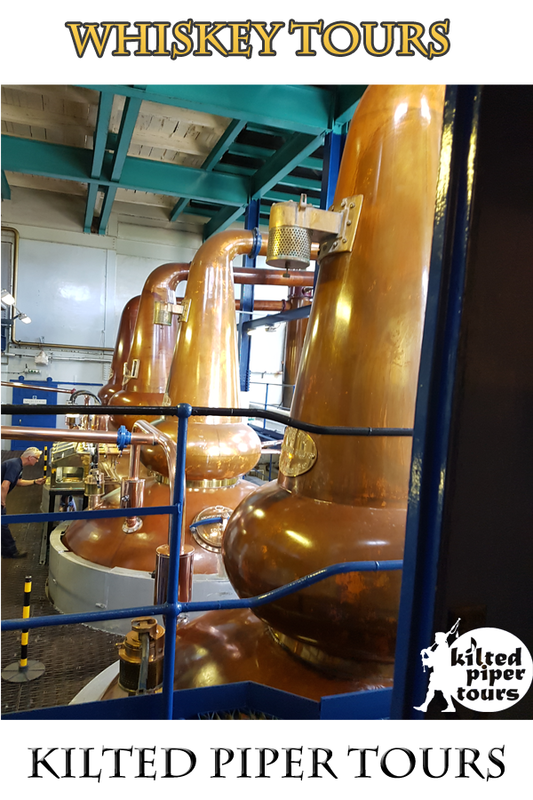 Located in Glasgow itself, is the newly established Clydeside Distillery, where you can see how the golden amber is distilled, (although purchasing of these fine malts will not be available for 3 years.) However, if time is on your side, let us whisk you from the distilleries in Glasgow to scotch tours further afield. On the outskirts of the city, we can explore whisky distilleries near Glasgow. 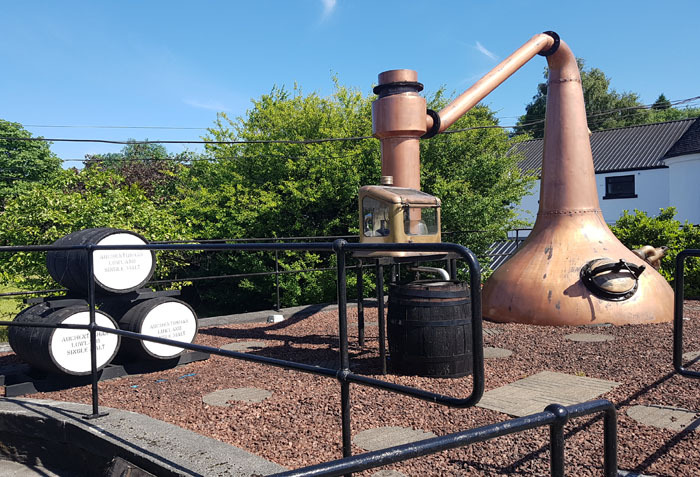 A short 20 minute drive west of the bustling city, is the Auchentoshan Distillery, where you can not only have a guided tour, but sample and purchase some wonderful matured malts. We can then head another short journey north to the Glengoyne whisky distillery. 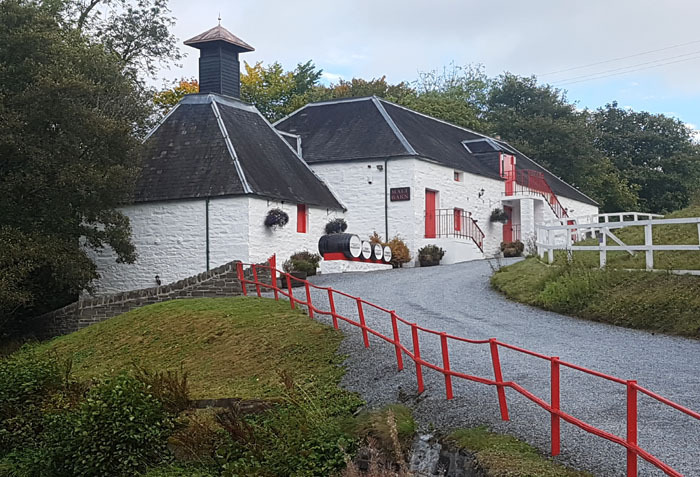 Set in scenic surroundings, again you can enjoy a guided tour and sample some of the much acclaimed malts that in fact the late Queen Mother awarded her seal of approval to…her favourite 12 year old malt whisky. Travelling on north east from Glengoyne Distillery, we arrive at the beautiful location of the River Teith, 8 miles from the ancient town of Stirling. 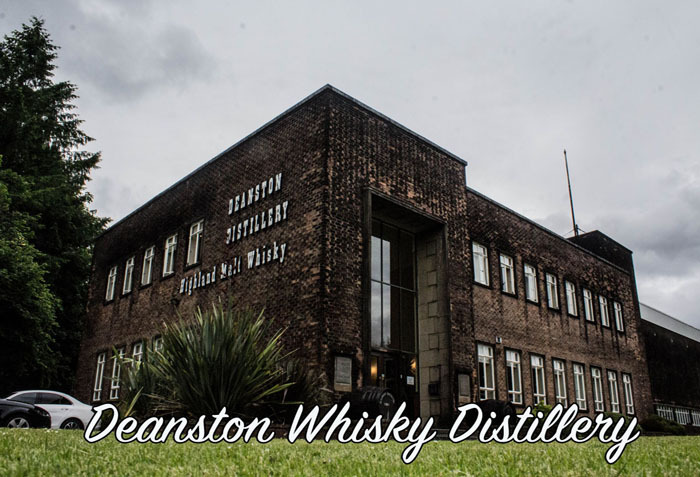 This is where we find Deanston Distillery, nestled by the tranquil river side. If we arrive around midday, we can enjoy lunch in the distillery itself. This victorian previous cotton mill has been used in the filming of the series ‘’Outlander’’. Journey through the Speyside Whisky Trail tasting famous Scotch Whiskies such as Glenfiddich or Glenlivet. Sail over the sea to Skye and savour the smoky, spicy Talisker. Hopscotch from the Highlands to the mystical Isles of Jura and Islay to sample the peaty malts at Lagavulin or Laphroaig. 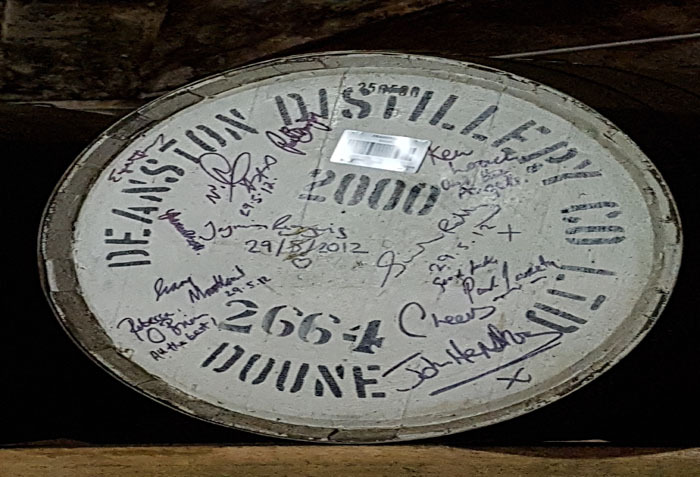 Take a wee nip from the bottle or even the barrel at one of the oldest distilleries, Annandale in the Scottish Lowlands established in 1836 which sprang back into life on 2014. You can visit Campbelltown, which was once known as the whisky mecca, when it boasted 34 distilleries. Sadly today there are only 3 remaining. Imagine the aromatic smells in the air, and the bustling town laden with hundreds of ships. Maybe you have heard the famous song ”Oh Campbelltown Loch I wish you were whisky…I would drink you dry”? These are only a sample of the many distilleries that distill our national drink. You may have others in mind you wish to visit on your trip to our amazing country. You will experience the sights, sounds and smells of traditional distilleries. Discover the process of distilling grain mash, and aging it in oak barrels to enhance the varying flavours of the whiskey. You will hear many tales and folklore about the whisky smugglers (phoney funerals convened to hide whisky in coffins and hearses, bottles hidden in unplucked geese), and the ‘Angels Share’. Most importantly, you will have the opportunity of enjoying a wee dram of your favourite single malt scotch. 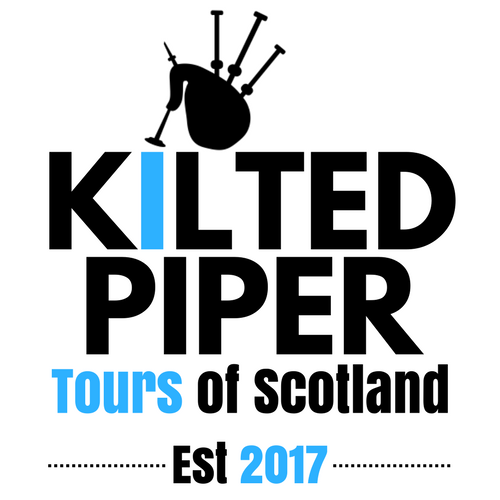 We look forward to helping you create your own Whisky Tours from Glasgow… we advise you to book soon to avoid disappointment. 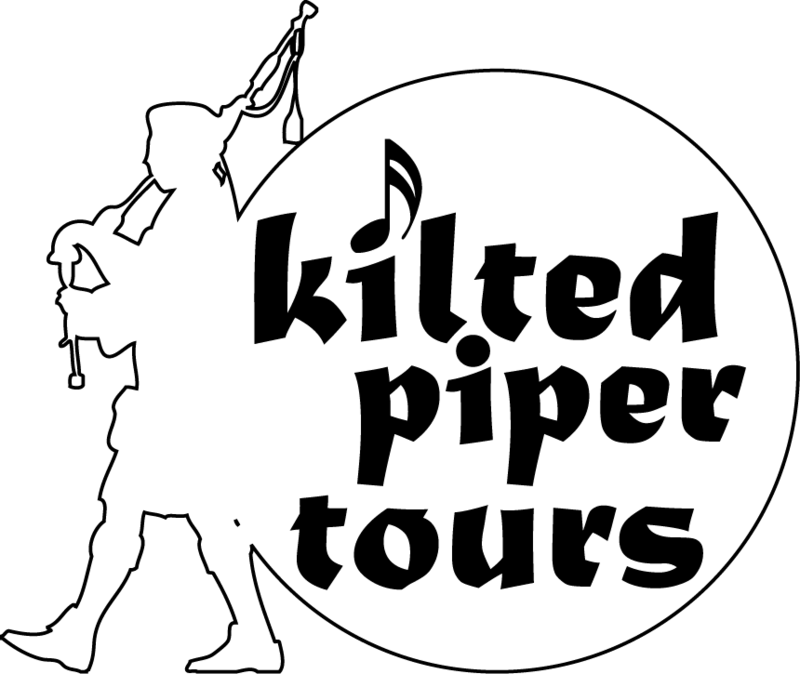 Our available dates from Glasgow are filling up fast! These trips are designed to suit your needs and work into your agenda. We look forward to sharing a wee whisky with you, and toasting your good health…. or as we say… Slainte Mharth!